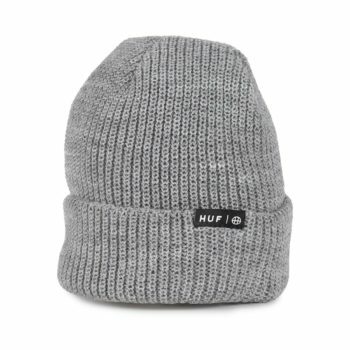 The HUF Box Logo beanie is a cuff style beanie. Featuring a HUF branded woven box label on the front roll cuff. Classic 4-seam construction with a roll up cuff. 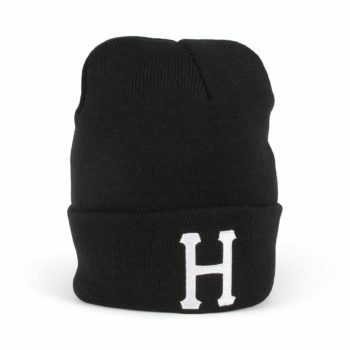 The HUF Classic H beanie is a premium cuff style beanie made from a marled knit. Featuring a HUF branded embroidered 'H' on the front roll cuff. 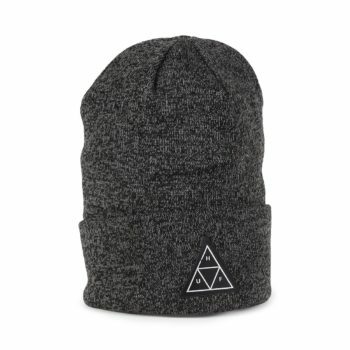 Classic 6-seam construction with a roll up cuff. 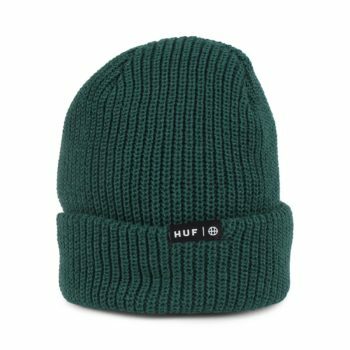 The HUF Usual beanie is a classic roll cuff hat featuring a HUF branded woven clamp label on the cuff. 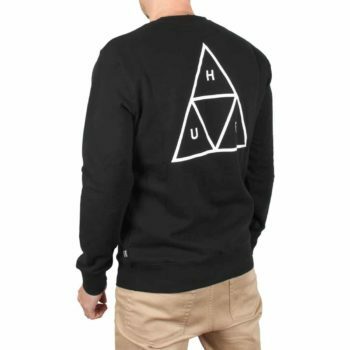 The HUF Essentials Triple Triangle Crew is a premium pullover sweater featuring a HUF triple triangle logo print on the upper left chest and a larger triple triangle 'By All Means Necessary' print larger on the back. Featuring a HUF branded woven flag label on the lower left seam. 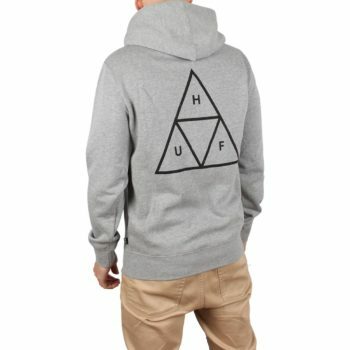 The HUF Essentials Triple Triangle hooded sweater is a premium heavy weight fleece hoody with a HUF Triple Triangle print on the upper left chest and larger on the back. Featuring a HUF branded woven flag label on the lower left side seam. 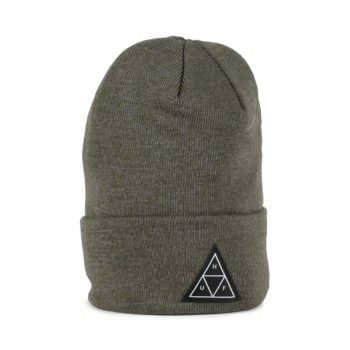 Made from 80% Cotton fleece / 20% Polyester. Fit is regular through the body. Model is 5' 10" tall and of medium build. The HUF Essentials OG Logo hooded sweater is a premium heavy weight fleece hoody with a HUF OG Logo print on the centre chest. The HUF Box Logo hooded sweater is a premium heavy weight fleece hoody with a HUF Box Logo on the centre chest and a HUF Worldwide print across the hood. 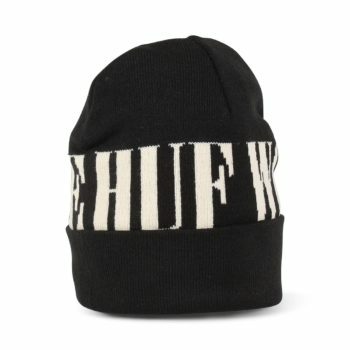 The HUF Serif beanie is a classic cuff style fold beanie with a custom knit detail. 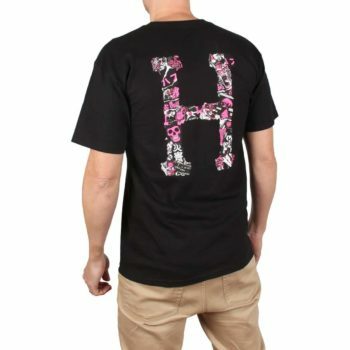 Featuring a HUF Worldwide branded graphic around the crown. 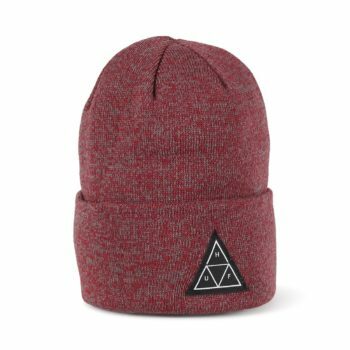 The HUF Triple Triangle beanie is a premium cuff style beanie made from a marled knit. Featuring a HUF branded woven triple triangle label on the front roll cuff.